This is kind of an odd post, but it just sort of worked so I went with it. 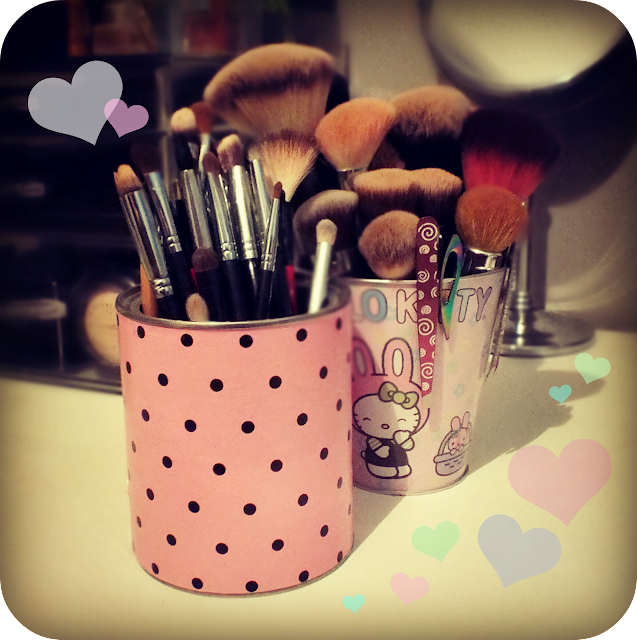 A few weeks ago, I noticed my fan brush- Smashbox #22 if we're being specific, had a major owie. Yes, owie. Can we continue? Anyway, it's a delicate brush and I'd like to keep it from getting raggedy if at all possible. 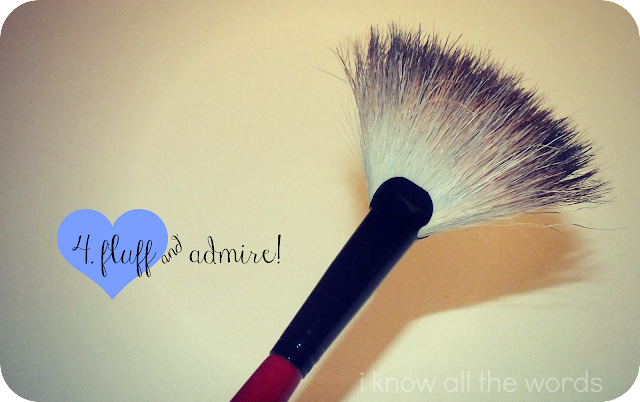 I love using this brush for powder highlighters, it allows me to add a nice glow without the fear of overdoing it. I had a plan that I thought just might get it back in proper shape, and my camera, as always, was by my side, so I documented the process. Care to take a look? It doesn't look like a major injury here, but it looked much worse in person. Washing a brush and setting it while wet can also undo any brush blunders, but as you can see, this brush didn't need washing, and I was planning on using it sooner than later. Ever tried using a wet fan brush... no, me either, because that would be crazy. Dampen your brush with, well water is optimal, but any face safe liquid. I was at my vanity/desk and used a spritz of Avene Thermal Water. A spray bottle works best. You could use MAC Fix+ or any other mild facial spray. If possible use only enough water to dampen the bristles, since this fix job is all about being fast drying, there is no sense soaking it. As you can see I used a hair elastic, but anything that can wrap around your brush will do. The key is not to apply too much pressure. 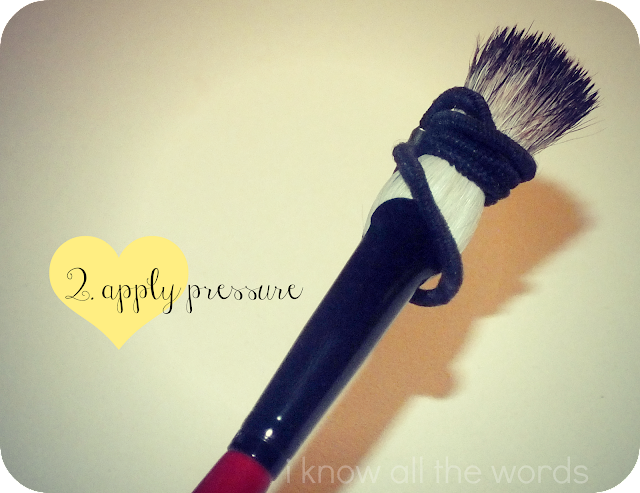 Anything too tight, and you're likely to kink the bristles, making this brush fix a bit moot. Or, a whole lot of moot if we're being completely truthful. 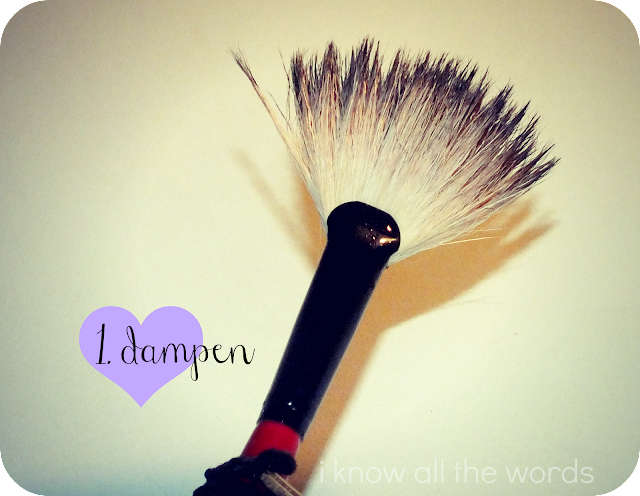 Anyway, you'll be able to tell how tight your bristles need to be packed. Part two is best completed while listening to this. "But Bailey," you'll ask "how long should we leave the pressure on? We need answers!" Such a dramatic bunch, I'm getting to that. 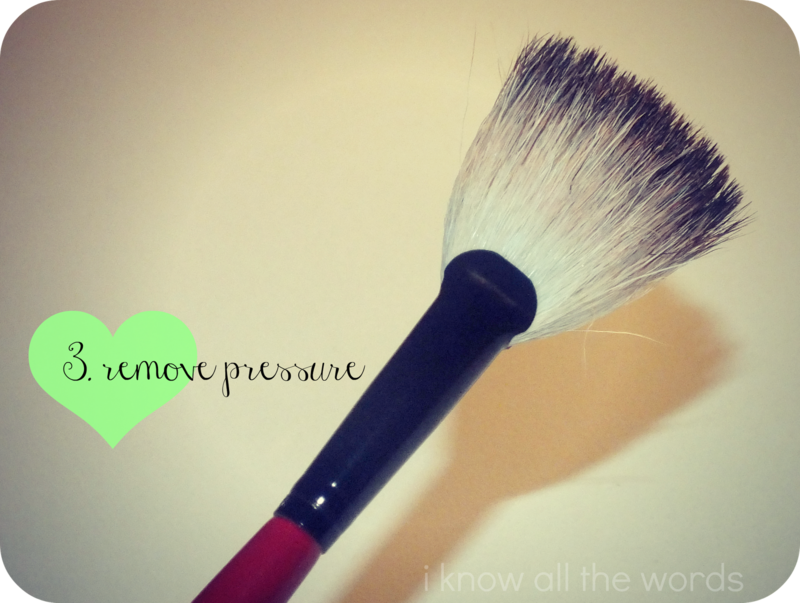 You'll want to leave the pressure on just until the bristles are almost dry, but not until they are completely dry, we don't want any kinks, remember. Now, pull a McCartney and let it be until it's fully dry, which by this point won't be long. Once your brush is dry fluff it up a bit by tapping the ferrule gently on the edge of your finger. Fluff it a bit more. Fluff it once more. Okay, enough with the fluffing. Now, you can admire your handy-work. Next time don't try cramming all your brushes into one itty-bitty bucket- that's what caused my brush snafu, and has since been remedied. Of course, this 'technique' can be applied to any brush that needs a bit of fix between washings. 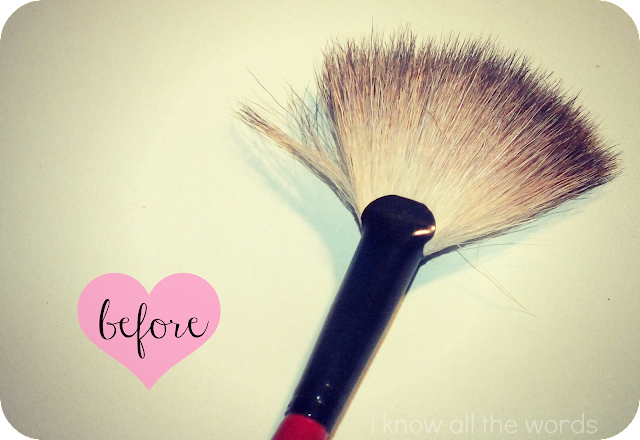 Obviously this post didn't demonstrate any mind blowing tips...Do you have any great brush tips? I'd love to hear them!